WHO I FISHED WITH: On March 29th I welcomed aboard Mrs. Fiona Williams and her two children, Ashlyn (age 14) and Levi (age 3). Fiona’s husband, U.S. Army Master Sergeant Jarrad Williams, is currently deployed as part of the Army’s Criminal Investigation Command (CID) to Kuwait, Iraq, and Afghanistan. MSG Williams, a native of Oklahoma, has approximately 3 months left in his deployment, and has been serving for 17 years. This S.K.I.F.F. 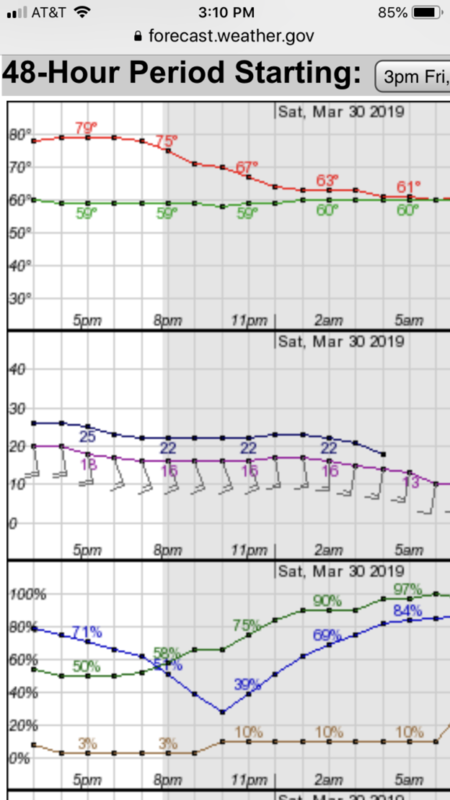 trip was originally planned for March 2nd, but rain and high winds foiled those plans. S.K.I.F.F. stands for Soldiers’ Kids Involved in Fishing Fun. This program began in May of 2009. It is funded by the donations and fundraising efforts of the Austin Fly Fishers. S.K.I.F.F. provides the children of military personnel separated from their families due to duty commitments with the opportunity to go fishing. Full-time, professional fishing guide Bob Maindelle coordinates and conducts these 3.5 to 4 hour adventures on Belton Lake and Stillhouse Hollow Reservoir, just outside the gates of Fort Hood in Bell County, TX. We worked this trip in after school on a Friday now that sunset comes around 7:45 pm, following the start of Daylight Saving Time. 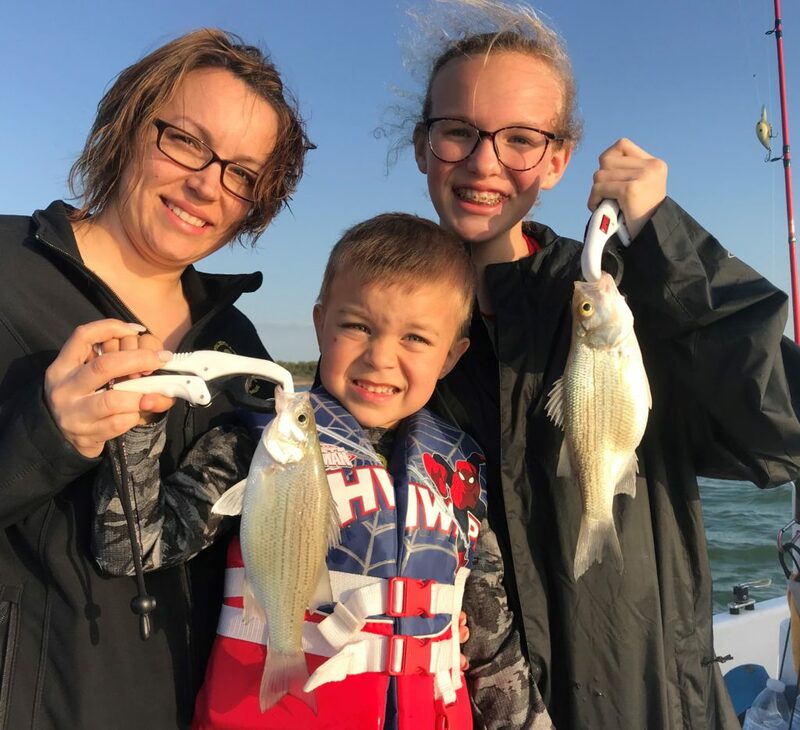 PHOTO CAPTION: From left: Mrs. Fiona Williams, her 3-year-old son, Levi, and 14-year-old daughter, Ashlyn, with white bass we caught while flatline trolling with crankbaits on an afternoon SKIFF program trip made available at no charge to soldiers’ families. HOW WE FISHED: As Fiona knew Levi would only make it so long, we agreed to keep an eye on him and close out the trip once the novelty wore off for him. We faced some high winds which made the area I had been successful in early in the week quite silty and off-color, so the fishing was pretty tough. Additionally, both of the kids had post-fishing trip movie plans – Ashlyn was headed to see “Five Feet Apart” with friends, and Levi and Fiona were considering taking in “Dumbo”. Long story short, we fished just until both kids caught a legal sized fish to take a photo with and share with their dad, and then we wrapped it up. Luckily, two of our first three fish were white bass which exceeded the 10-inch minimum, so we got that scrapbook photo well before dark. Because the tactic which was working on this trip was flatline trolling (and because that method is not all that engaging for a 3-year-old), I gave Levi an number of “special duties”. He was the “rod putter awayer”, he was the “thumper turner-oner”, he was the “fish in the livewell checker”, and he was the “aerator motor operator”. He did great at all of those things (and at snacking!!). OBSERVATIONS: Due to 2 days of high winds (15-18mph) the upper third of Stillhouse is silty. This made fishing a bit tough for these fish which are primarily sight-feeders. ← 45 FISH FOR ANDY’S 6TH BIRTHDAY! !